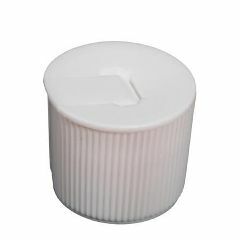 This is our polypropylene (recycle code 5) plastic cap with a pop-up pouring spout. The edges are ribbed for increased grip. These are great for use on our plastic bottles with 2-16 oz. capacities (bottles sold separately).